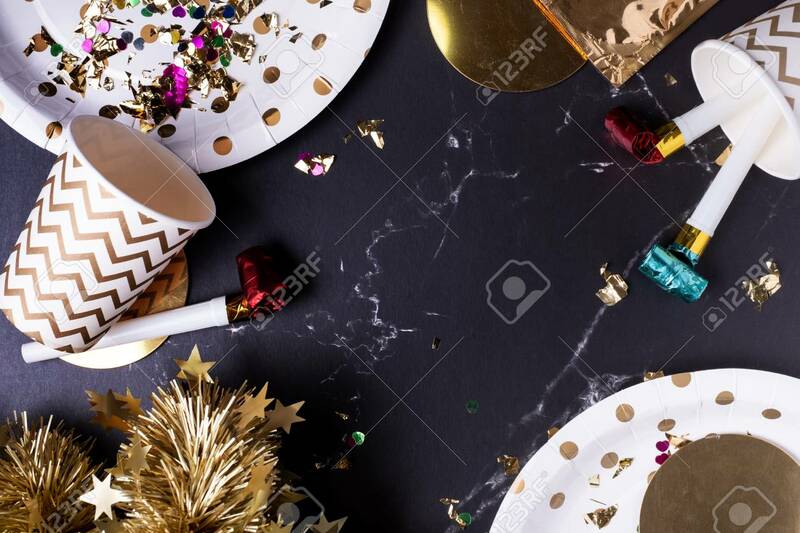 Party Cup,party Blower,tinsel,confetti.Holiday Celebrate Party Time.top View Tabletop. Lizenzfreie Fotos, Bilder Und Stock Fotografie. Image 113445072. Standard-Bild - party cup,party blower,tinsel,confetti.Holiday celebrate party time.top view tabletop.